Continuing Education Advocacy: that the NCAA and the various Universities extend the period of time Collegiate Athletes are currently provided to accomplish the goal of earning a college degree. CAG is a huge proponent of education and believes both the NCAA and many of the Universities have a real opportunity not only to increase graduation rates for thousands of current NCAA Collegiate Athletes, but also to better support many of the past, present and future Athletes who spend several years being dedicated and committed to their sport, their teammates and their schools. Unfortunately, many of these Collegiate Athletes walk-off campus “without” graduating. 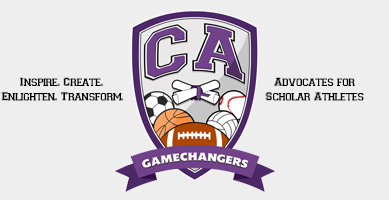 CAG believes that graduating is directly proportionate to all Collegiate Athletes successfully transitioning into a sustainable and meaningful life. CAG realizes that each University is different and has its own approach to Continuing Education. We feel graduating from college is critical and one of the defining moments in a Collegiate Athlete’s life. CAG and others believe that the number of hours Collegiate Athletes spend preparing and participating in their respective sports, places many of them in a precarious position when it comes to attaining the necessary requirements needed to complete a viable, marketable degree in today’s competitive business environment. It is for this reason that CAG will continue to advocate on behalf of Collegiate Athletes nationwide and ask the NCAA and the various Universities to extend the period of time Collegiate Athletes are currently provided to accomplish the goal of earning a college degree.